Losing sleep over choosing a new mattress? I created the following mattress guide to help make this decision process easier for you. The most important factors involved in choosing a new mattress have been highlighted below. Don’t have time to read the full guide? Click here to skip to the quick 6 step summary. FAQ: How often should you replace your mattress? If you’re restless, waking up in pain, not sleeping through the night, or just don’t feel well rested, it may be time to consider replacing your mattress. 2. What type of mattress do I need? Best For: Sleepers who want great hug, body shaping, contour, pressure relief, and support. There is a wide spectrum of foams classified as “memory foam” and not all memory foams are created equal. A good option for sleepers who want a more pronounced hug than many hybrid or latex mattresses offer. One of the most popular and widely used mattress types. Coil (aka innerspring) mattresses have one or more layers of spring coils (generally steel) that provide the support and comfort. As technology advances, the number, types, and layers of coils change. A larger number of coils typically means better comfort and support. Constructed from a combination of latex, memory, polyurethane foams, coils, and / or other materials, these mattresses usually are designed to maximize certain benefits, while also minimizing certain cons. For example, a latex + memory foam hybrid is able to deliver great bounce, cooling, and responsiveness via the latex, but also provide great pressure relief and support from the memory foam. Best for: Sleepers who want the best of all worlds. Great bounce, support, comfort, and cooling. A good all around option that is a very good choice for the majority of sleepers. Example: Lineal adjustable base, note that this is just an example of an adjustable foundation, you’ll need to also purchase a mattress that is adjustable. Most foam mattresses are compatible with adjustable foundations. In this industry, more money does not always mean a better mattress. Retail store mattress pricing is dramatically inflated, often times with markups that range from 300-1,000%. In almost all cases I recommend that my readers consider purchasing a mattress online first. Online mattress companies are able to remove much of the markup and offer a high quality product for about 30% of what you’d pay in-store for a similar mattress. The Tempur-pedic Flex Supreme is $2,599 for a Queen. Loom & Leaf is 58% less expensive and Layla is 64% less expensive. All 3 of these mattresses have a similar feel and built quality, the only difference is the price you ultimately pay for it. Don’t Go Ultra-Cheap – Don’t spend less than $500 (Queen). 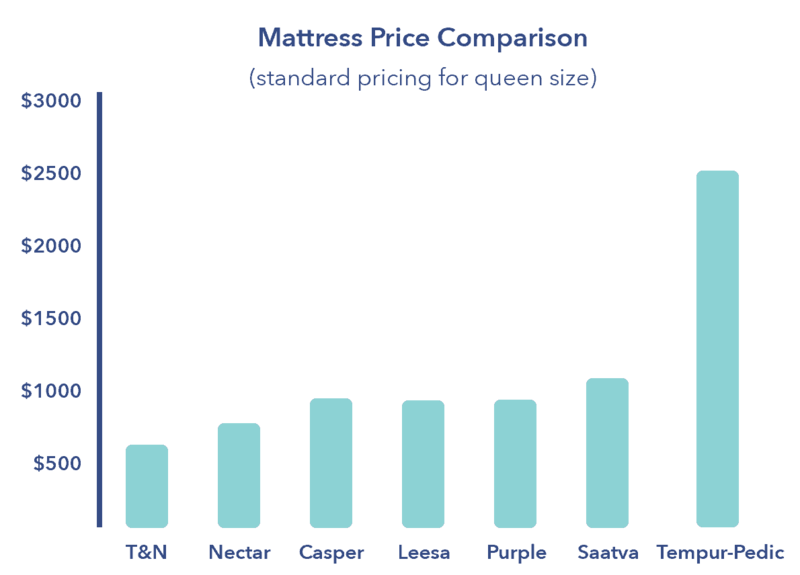 Price isn’t a perfect indicator of quality, but if you’re not spending at least $500 you’re probably getting lower quality, lower durability, and higher toxicity in a mattress. Pay for Quality – Remember that this mattress can and should last you 8-10 years. A 10 year $1,000 mattress works out to $0.27 / day. Don’t skimp on your mattress! Your health and sleep are worth a whole lot more than a quarter a day. 4. What firmness do you need? Firmness is how hard or soft a mattress feels. The most common question I receive from my readers is “how firm is this mattress?” This is also one of the most difficult to answer questions. The feel and firmness of a mattress depends on your definition of soft, medium, and firm. It’s highly subjective. Additionally, your body type, weight, size, and other factors play into the feel. Several online mattress companies have developed mattresses that have a universal comfort. Although there is only one firmness level offered with these mattresses, the structure of their foams and layered design works to offer comfort for a variety of sleepers (heavy, light, tall, short, side, back, stomach, etc.). Leesa is a great example of this design. Leesa’s layered foam construction and materials provide a comfort level that adjusts to each sleeper. This is extremely beneficial for partners who prefer different firmness levels. For a lighter sleeper, the top layer of Avena foam acts with the memory foam core to provide support and comfort. Since lighter sleepers put less pressure on the mattress much of the comfort and feel comes from the Avena. However, support and pressure relief is still provided by the memory foam core. 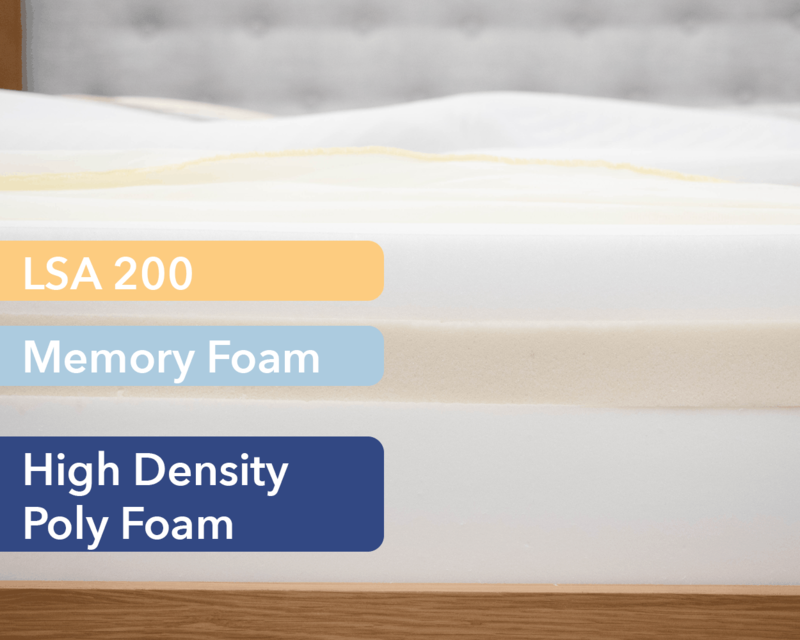 With a heavier sleeper, the Avena foam works much more with the memory foam and support foam to offer proper deep compression and transitional support. Side sleeping positions work similarly, causing the mattress to create superior deep compression support for the heavier parts of your body. Back and stomach sleepers would see a more even weight distribution and balanced foam interaction. This universal comfort design creates a balanced level of comfort and support for the mattress that’s enjoyable for the majority of sleepers. Bear, Layla, Tuft & Needle, and Casper are other examples of universal comfort feel designs. If you’re firmness preferences place you outside the typical firmness range (either in the 1-3 or 8-10 level) or you just aren’t sure about the idea of universal comfort you may need to consider other options. Brooklyn Bedding, Nest Bedding’s Love & Sleep, and Saatva’s luxury coil mattress are available in soft, medium, and firm. Loom & Leaf offers both medium and firm. And lastly, Helix Sleep offers sleepers the ability to personalize their mattress with a variety of support, firmness, and feel options. Your primary sleeping position, body type, and weight also have a major impact on the firmness level that’s best for you. Stomach sleepers number one priority when searching for a new mattress needs to be support. The torso will apply the most pressure to the mattress for stomach sleepers. For this reason, they need a mattress that provides equal support across their body. If the mid section sinks at the middle of the mattress (mattress is too soft) the sleeper will see a curving of the spine, causing lower back pain and other problems. You’re a lighter sleeper (150 pounds or less) and want a medium feel (5-7) – lighter sleepers don’t sink as deeply into the mattress, this can make mattresses with denser top layers not as comfortable. Universal comfort mattresses are a great fit for these sleepers. If you’re lighter I usually recommend my readers choose a mattress that’s 0.5-1 firmness points below what they feel they actually need. This is because most medium firmness feels are rated based on an average sleeper (180 pounds). You’re an average sleeper (150-200 pounds) and want a medium feel (5-7) – you’re in the market sweet spot. Most mattresses are designed for average size sleepers. Anything in the universal comfort range or any mattress characterized as medium, medium firm, luxury firm, or rated 5-7 out of 10 is very likely going to be a great fit. You’re a heavier sleeper (200 pounds or more) and want a medium feel (5-7) – heavier sleepers put more pressure on the mattress, so we need to adjust for that. Look for mattresses that have a comfort layer of at least 4″. This will ensure consistent support and comfort for your size. If you have extreme cooling needs and / or you need a mattress with exceptional edge support you will likely need to consider luxury innerspring / coil-on-coil mattresses. If these needs aren’t as important for you then you can focus more on the foam side where you’ll get better contouring hug and body shaping. You’re a lighter sleeper (150 pounds or less) and want a soft feel (3-4) – as a lighter sleeper you have the advantage of not sinking as deeply into foam mattresses. This allows you to get the cloud like comfort you’re looking for, but without being excessively hugged or creating as many heat retention issues. Mattresses characterized as soft, plush, plush soft, or in the 3-4 out of 10 range are good options. You’re an average sleeper (150-200 pounds) and want a soft feel (3-4) – your needs are similar to lighter sleepers in this area. If you’re closer to 150 then you can follow the same rules as lighter sleepers. As you get nearer to 200 pounds you’ll want to consider the increased hug / sinkage of the mattress. Softer mattresses already have an increased level of hug and sinkage. For side sleepers this can be ideal, however for many back sleepers and almost all stomach sleepers, this will create a negative situation for the support of the mattress for you. You’re a heavy sleeper (200 pounds or more) and want a soft feel (3-4) – this is one of the most difficult to find mattress combinations. Heavier sleepers already sink deeper within the mattress and soft mattresses amplify this further. A mattress that’s designated as soft will create dramatic sinkage and hug for heavy sleepers. It is incredibly important to find a mattress that still offers great deep compression support. This means a minimum of 4″ of comfort foam, which usually will only be found in mattresses that are 12″ or thicker. If you don’t like the foam mattress options you’re seeing a pillow-top coil mattress can be a great fit for this area. They’ll provide great deep compression support, but can still bring the soft feel you’re looking for. You’re a lighter (14o pounds or less) or average (150-200 pounds) sleeper and want a firmer mattress (8-9) – firmer mattresses are a little easier to diagnose, mostly because there’s a smaller degree of variation in their feel…i.e. you don’t deal as much with balancing hug, cooling, contour, etc. A firmer mattress floats sleepers on the surface of the mattress, as opposed to hugging the sleepers (like many foam mattresses will). For lighter and average sleepers that want a firm feel you’ll want to look for mattresses characterized as firm or in the 8-9 out of 10 range. You’re a heavier sleeper (200 pounds or more) and want a firmer feel (8-9) – since you’re a bit heavier you’ll want to adjust your targeted firmness. If you’re looking for something that’s an 8 out of 10 this means you’ll be looking at mattresses that are in the 8.5-9 range. Add 0.5-1 points. That said, I would recommend caution in ever going above a 9 on the firmness scale. Beyond this you are effectively sleeping on the floor. Picking out a new mattress can be a daunting task. With this quick summary I’ve noted the most important topics you need to know when choosing a mattress. Is it time to replace your mattress? 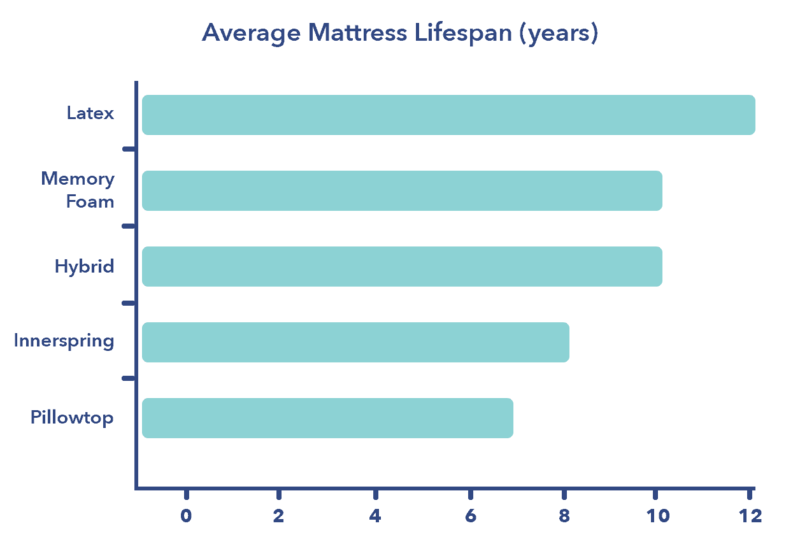 – is your mattress over 8 years old? A general rule of thumb is to replace your mattress every 8 years. However, if you’re not sleeping well then you can throw that 8 year benchmark out the window. Your sleep habits should be the largest factor in determining if you should change your mattress. Sleeping poorly? It’s time for a change. What mattress type is best for you? – when selecting a mattress, the biggest choice will come down to either foam or coils. Foam offers great hug, contour, and a unique feel. Coil is a more traditional feel with great bounce. For most sleepers I recommend foam. However, if you’re very large (250+), want a traditional feel, and/or have extreme cooling needs, coils can be the better choice. What is your budget? – choose a budget that works for you. Ideally you’ll have $800-$1,000 to spend. This will offer you the most options and put you in the luxury end of the online market. Don’t spend less than $500 unless you want a mattress that’s going to break down much sooner (and one that could potentially be more toxic also). What firmness level is right for you?– most sleepers prefer a firmness in the 5-7 out of 10 range. This is appropriate for all sleeping positions and most weight / body types. If you go 4 or below you are most likely a side sleeper. If you go above a 7 you are probably a stomach or back (anything much above a 7 isn’t great for most side sleepers). What positions do you sleep in? – Choose a mattress with a firmness that matches your needs. Side sleepers go with 3-6 out of 10. Back go with 4-7 out of 10. Stomach go with 5-7 out of 10. There will of course be outliers in each of these, but uses these as general guidelines to get started. How much do you weigh and what is your body type? – support from a mattress is directly related to your body weight. The heavier you are, the more the support foams have to work to provide optimal comfort. Weight effects how much support you will receive from your mattress based on total sinkage and pressure points. Still not sure what mattress is best for you? Head over the Sleepopolis mattress comparison page or send me an email via my contact form. I’m always happy to help!